It is June 3 2008 and a month has passed since Southport’s battle for promotion ended in tears. A heartbreaking penalty shoot-out defeat against Stalybridge Celtic in the Conference North play-off semi-finals consigned the club to a second year at level two of Non-League football, leaving the pursuit of a place in the Conference Premier on hold for at least twelve months. The scars of a painful loss have slowly healed, the events of another campaign are fast becoming a blur and Charlie Clapham has just fulfilled his final fixture of the season – the club’s Annual General Meeting. As shareholders’ meetings go, it was a rather routine affair; the disappointment of the Stalybridge defeat alleviated by swift confirmation that Gary Brabin will continue as first-team manager. One shareholder congratulates the board’s decision to retain a full-time playing squad, while another urges them to ‘speculate’, suggesting that the agreed budget be increased by 10%. There is also a warning against an undercurrent of ‘apathy.’ With planning already underway for the forthcoming campaign, questions from the floor focus mainly on the immediate future, but within half-an-hour of bringing proceedings to a close, Clapham is asked to step into the past. As one shareholder pointed out, it is nigh on a quarter of a century since he assumed the position of Chairman, and there are no shortage of stories to tell. When Clapham first walked into a desolate Haig Avenue in 1982 the club was on its last legs. A businessman without previous experience in the administration of football, he provided the acumen and solid leadership Southport craved. Having subsequently presided over a number of notable events, his tenure is a central part of the club’s history and he now occupies senior roles in the running of the game, recognition of his work at the club. Away from football, Clapham is Managing Director of Palace Chemicals, one of the country’s leading privately owned suppliers of building chemical products, but after leaving school, he first plied his trade in a rather different workplace. ‘I was a time served butcher,’ he says, ‘I enjoyed every minute of it and did that for about seven years. Having moved to Southport in April 1981, it was a little over a year later that Clapham made his first visit to Haig Avenue. By then, the club had hit its lowest ebb; languishing in the Northern Premier League while attendances dwindled and debts spiralled. After several rounds of boardroom upheaval, Southport was financially crippled and emergency meetings had been called in an attempt to resolve its future. As Clapham recites the series of events which culminated in his involvement with the club it makes for fascinating listening. Vividly describing how the pieces of the jigsaw fitted together, he acknowledges that the opportunity came about by way of coincidence. Perhaps even by fate, history was shaped by the smallest of details. ‘I turned up,’ he recalls. ‘I’d been in Southport from April ’81 and that was the year they got into a lot of financial difficulty. I found it quite bizarre that all the reports on the club seemed to be on the front page. I couldn’t understand it – I thought they don’t write about football clubs on the front page, they write about them on the back page. ‘My son was about 14 and when the season started I was asking him if he fancied going down but it never clicked. By then it was ’82. We’d been into the factory to do a bit of work on a Saturday and on the way back, right out of the blue, he said ‘Southport are at home today, do you fancy going?’ I thought it was a bit bizarre because I’d been mithering him to come down as I didn’t fancy going down on my own. So we turned up and if my memory serves me right we were playing Gateshead in the FA Trophy. I remember we won because the next game [in the Trophy run] was at Spennymoor and we lost 5-0, I drove from Coventry to Spennymoor. The players played in supporters’ shoes because of the pitch being frozen and they couldn’t wear their own footwear. ‘Gary Culshaw was the Chairman at the time and Barry [Hedley, still at the club as a director] was Vice-Chairman. They had been the two who stood up at the public meeting when the club was facing extinction and to be fair to their pair of them they put their hands up and they took it on. They didn’t know each other and I suppose it was a bit like the film Last Man Standing; in this case it was the last two men standing. So they were having a go and obviously finding it very difficult, the club was financially distressed and the place was a bag of nails. ‘I came through the turnstile with our Wayne and people on the turnstiles were giving out A4 sheets of paper. On it was an announcement along the lines of: ‘You might have read we are in trouble but not as much trouble as they are saying we are. If you think you might be able to help come and see the directors after the game in what today is the Grandstand Bar.’ I was still perceiving Southport to be a Football League club; I knew they were playing Non-League football but in my mind’s eye I thought they were still a League club. So I was quite surprised at the dereliction of the place and I thought that I wouldn’t mind maybe having a chat and seeing whether this might just be something I could get involved in. I thought that I’m not going to queue up because they’ll have a few people who might be interested, obviously I didn’t realise. I thought I might go down tomorrow to see if I can bump into someone. ‘The attendance that day would more than likely have been around 300 and when you go somewhere strange you don’t realise that people working around the club know everybody. Of course, they have seen two new people and the girl who was selling raffle tickets realised we were new and somehow worked out that we weren’t from Gateshead, more than likely by the accent. So the following day I thought ‘go on, I’ll give it a go’ I lived in Curzon Road at the time, So I walked round to the club and into the bar. The bar in those days was positioned at the other end where the stage is now. It was like walking the plank. I’ve gone in there about One O’clock on the Sunday and the few people that were in there – about a dozen or fifteen of them – were all sat right up by the bar. So I’ve had to come in through the door at the bottom. Well of course, there was the girl who had obviously clocked me when she sold me the raffle tickets. It’s bizarre really when you think about it. It was the most uncomfortable walk I had ever done and you’re thinking ‘what am I doing here?’ You couldn’t turn around, so I walked up to the bar and as quick as you like this girl came up to me and said ‘you’re new aren’t you?’ So I said ‘I wonder if any of the directors are here. I picked up the notice they put out yesterday.’ They said ‘oh no, they wouldn’t come in here.’ So I asked them for a contact. They said ‘well you give me your name and number and I’ll get the Chairman to ring you.’ And from there it went because Gary Culshaw rang me and I met up with him and Barry Hedley. The rest as they say is history. We held a quick Board Meeting in Barry’s front room and ‘hey presto’ I was the new Chairman of Southport Football Club. Having arrived at Haig Avenue and won the initial battle to stabilise and strengthen the club off the pitch, success on the playing front shortly followed. 13 pieces of silverware have been accrued during his Chairmanship, including two league titles, the first of which was a mesmerising Northern Premier League championship win in 1992/93, masterminded by the inimitable Brian Kettle. In total, Clapham has worked with 15 managers – all of which have helped shape the Southport story – but which one stands out as the Chairman’s favourite? ‘It’s a difficult one, they’ve all been different,’ he reflects. ‘I mean it when I say it’s a bit like getting married. You don’t get married to get divorced, you get married for the longevity of it. When you appoint the manager, you do it for the long-term, not the short-term. Circumstance unfortunately dictates other things. I’ve had some great fun with most of the managers we’ve had. Brian Griffiths was a great guy to work with. Griff was so intense it was unbelievable, he was a proper, proper football person. Micky Taylor, who was not long after him, was an absolute bloody hoot! Micky’s language was so colourful, even in front of women, he was awful. I used to pull Micky to one side and suggest he curb his language Micky would respond only as Micky could with a couple of expletives he was one of life’s characters was Micky. ‘Then you move on to Brian Kettle. The Ket years were good fun. Brian was a character. How he motivated and won pots and pans the way he did, will always amaze me because I never really felt that was likely to be his best forte. But the team could go in at half-time having had a crap performance and they would come out like different players. So whatever he did, it certainly had an effect. When you look at the quality side of it, you have to say winning a league and putting us in the Conference in 1993 was a great achievement. Wages were just not wages then as such, they were more like expenses, but he moulded a bunch of players. I took those players to Magaluf and they were an absolute joy and a credit to themselves and the football club, they were great blokes. He had his own little difficulties at times did Ket, but he was good fun and he was obviously a good football manager because of the things we won with him. ‘I suppose the nicest person that I’ve ever had the pleasure of working with – and he gave us what I guess was our greatest moment – was Paul Futcher. Futch was different class. There are things you do for the club, not for yourself, and I think he should have been given freedom of the city, he should have been allowed to manage Southport until he was about 102! But it doesn’t work that way.’ The great occasion Clapham remembers with such fondness is of course the 1998 FA Trophy final, which remains the Sandgrounders’ only appearance at Wembley Stadium in 127 years of existence. Futcher, the player-manager, was in the twilight of a distinguished playing career but the defeat against Cheltenham Town was his first time at the Twin Towers. At the club’s presentation evening the following day, he presented his medal to Clapham, who was almost in tears as the crowd at the Floral Hall burst into applause. It is a memento he still cherishes. ‘That was a measure of the man,’ the Chairman says, ‘he was a great character and it was a sad, sad day when I had to sit down with him and tell him it was over. Unfortunately for a while he was quite hurt. The Christmas cards stopped and the Birthday cards stopped, not that they ever started! But in fairness, after not very long, we met again when he was manager of Stalybridge. He and his wife, Collette, were lovely, lovely people and they were as good as gold. I spent about an hour in his company the other week [at the reunion held to mark the tenth anniversary of the Wembley appearance]. From the best to the most difficult manager to work with? This time, there is no hesitation as he goes way back to 1984. ‘Bob Murphy. Bob was hard, not hard as in a thug, but he was a hard, hard person, he was not an easy bloke to work with. The past two-and-a-half decades have seen a selection of memorable events and special achievements – from the FA Trophy run of 1998 and appearing at Wembley, to the two promotions and a couple of highly placed Conference finishes. But amid all the joys and celebrations, Clapham, who remains modest about his successes, plumps for a less obvious occasion as the defining moment when asked to choose his highlight. ”93, ’98 and 2005 – they are the key ones,’ he explains, ‘but if you ask when did we turn the corner, which I guess is the bigger highlight, it is 1988 without a doubt. Micky Taylor was the manager, we played Port Vale in the first round of the FA Cup and were on telly. We got ‘7,500 for being on telly and that was the turning point financially. One of the most lasting changes Clapham has overseen is the transformation of the club’s Haig Avenue ground, memorable for both the scale of the redevelopment and the circumstances in which it was achieved. When he first arrived the stadium had fallen into a dilapidated state, but with Brian Kettle’s side on the cusp of promotion, wholesale improvements were needed in order to satisfy ground-grading requirements, without which a place in the Conference would have been refused. It was a mammoth task and very much a race against time, but collectively it ranked among the club’s greatest feats, giving Clapham a proud sense of fulfillment. ‘We didn’t get started until I think February 1st,’ he recalls. ‘Peter Hunter came here from the Conference and he was quite scathing when he arrived – completely off the scale. Obviously I’ve worked with Peter now for the last 10 or 15 years and I have taken the opportunity on occasions to get my own back! He turned up here and said there was absolutely no chance. I said to him: ‘Excuse me, that’s not for you to say. You need to tell me now what we’ve got to do, so then you leave that to us.’ And what we achieved as a team in that three month period was just absolutely unbelievable. The weather conspired against us because it rained a lot when we were trying to do concreting and one thing and another. It was a phenomenal effort, absolutely phenomenal, and you come back again to it being a team game. ‘I must confess that I was more than likely at my most unreasonable for a period of about two months, unbelievably unreasonable. It caused the odd bit of friction, but fortunately the people involved just sort of took it and got on with it because otherwise we just wouldn’t have made it. I was stationed here for virtually two months, my business must have thought ‘where’s he gone?’ I was not necessarily digging holes because I’m not very good at digging holes but there was certainly a lot of manual stuff, where you could jump on a dumper truck or whatever. There were a lot of guys putting in a lot of time, a lot of graft, but we had to drive it because it was a phenomenal challenge. And Peter Hunter qualified that when he returned. I had told my wife to keep an eye out for him. He turned up at the Blowick end and came through the side gate. My wife said: ‘Excuse me, can I help you?’ ‘Yes,’ he said, ‘I think I’ve come to the wrong ground. I can’t believe the transformation.’ And my wife sort of collared me and said ‘that guy’s here from the league, I think you’re going to be all right.’ As I say, you couldn’t write it any better. ‘It was a phenomenal effort from a lot of people. Everyone just went that bit extra. At times, we were working here under floodlights until eight, nine, ten o’clock at night. As I said about being unreasonable, people wanted to have a break and you think ‘you haven’t got time for any breaks lads, you’ve got to get it done!’ And it’s hard because everyone was doing this for nothing, they were all volunteers. It was a heck of an achievement and we sort of evolved a little bit a couple of years afterwards when we put the extra ends in on terraces. The league triumphs of 1993 and 2005 will always have a special place in the hearts of supporters, not only for the enthralling fashion in which the seasons climaxed, but the make-up of the teams contained some of the club’s most well-remembered personalities. Many ingredients are necessary to make a successful side and the integrity of the team, Clapham says, is a principal component. ‘You can’t decide when you’re going to win leagues. It just clicks and you look at the completeness of your side – we haven’t done it that often so I’m not an expert on it! In a modern-day football climate where length of service is often an undervalued commodity, Clapham is something of a rare breed. It takes a strong will and specific characteristics to occupy the same role for such a long period of time – let alone a position as high-pressured and demanding as Chairman. He admits his ‘stickability’ was an attribute which initially won him the support of the fans, but has he ever felt it necessary to consider his position? ‘Has there ever been the opportunity to stand down for somebody to come in and take over? The answer is I’ve never been placed in that situation where somebody has said to me ‘if you fancy moving or leaving then I wouldn’t mind having a go’. The answer is that it has never presented itself. His time at Haig Avenue has earned Clapham respect within football’s corridors of power. When he arrived at Southport his previous involvement in the game had been solely as a fan, but after establishing himself as a canny operator, he has become a strong voice in Non-League. 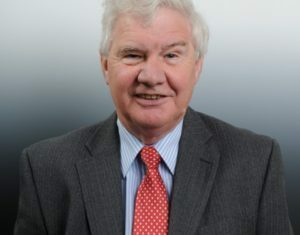 In 2005, Lord Burns’ structural review of the Football Association brought about significant change within the game’s governing body, including greater representation of the interests of football’s lower levels. Having already held the position of Vice-Chairman of the Football Conference, Clapham was selected as one of two delegates to represent the league on the remodelled FA Council, part of the legislative body at Soho Square. As Sam Shrouder, the Southport Vice-Chairman, highlighted at the club’s AGM, the appointment is a compliment both individually and collectively as a club. So, having experienced almost everything football has to offer, to what extent have the trials and tribulations at Haig Avenue changed Clapham as a person? ‘I’ve become more experienced in the football world because I was completely inexperienced in football administration and managing not only a football club but football managers as well. But I think I’m still the same bloke, just a little bit paunchier, but certainly a lot more experienced in football. In certain ways for that, maybe I’m a better person for it, because I’ve got involved in the actual administration of the competition so I’ve got a bigger role that I play and I now sit on the FA. At times Clapham has had to balance prudence with popular opinion. In the 2000/2001 season, Southport flirted with the prospect of a return to the Football League under the stewardship of Mark Wright. As the campaign unravelled, calls from the manager and supporters for the club to become full-time were at their most vocal. The Chairman resisted, knowing the club had already spent more than it could afford. Clapham refused to jeopardise Southport’s financial future, which stands in stark contrast to a growing trend of mismanagement. The ongoing plights of Nuneaton Borough and Boston United, both of whom Southport played last season, along with Halifax and Scottish club Gretna, serve as topical examples of an increasingly precarious football world. He cites the example of Colne Dynamoes, who received significant financial input from a millionaire backer, only to fold in 1990 after being refused promotion to the Conference. ‘Chalky White was solely responsible for the wage explosion in the north-west of England. He killed it and then they went and killed Witton because when he folded all the players went there – mega money because they’d sold the ground. The classic from their Chairman at the time was when I went to their new ground. He said: ‘Let me tell you, we sold the ground, we got this one built and we’ve still got ‘1 million in the bank. We don’t have to touch that, we could run the club just on the interest.’ I said: ‘Good luck to you pal and long may it last, don’t go over-stretching yourself.’ Three years later, they’re bust! One of the first battles Clapham admits he encountered after his arrival was to win the support of the fans and convince a number of sceptics. But as he talks about the current contingent of supporters, it is apparent that he has a genuine appreciation for their commitment and loyalty. He stresses the fact that this club belongs to the fans. ‘I’ve watched a lot of our fans grow up,’ he says. ‘They’ve watched me get older, but I’ve watched them grow up and I think we have a nice respect for each other. It was reasonable for them to say 25 years ago ‘what does this intruder want in our football club?’ And I could understand that because they didn’t know me from Adam. In the early days I guess there was quite a bit of animosity towards me because apart from anything else there was nothing happening on the ground, it was still a bag of spanners. Financially we were still up the wall, we were still playing in the Northern Premier League, with about 200 of us turning up. So it certainly wasn’t for ego. ‘But through the years they’ve seen the stickability, so in fairness I think they’ve actually come round to thinking ‘this guy doesn’t want anything, he just wants to support a football club, the same as we do.’ I think there is now a warm sort of feeling from them to me and likewise because we’ve been in one or two scrapes together over the years and we’ve come through it. I think the fans that we’ve got now – and I know you’re always going to have the barmpot who shouts something out that the players can hear and I think ‘I wish he wouldn’t’ – but I think we’ve built up a really good fan base. We’ve got quite a lot of young fans which can only help because they’ll stay with us. When I started the gate was about 200 and now there’s about 1100, so obviously we’ve got a different fan base because we’ve got so many more of them. But in the main I think we’ve got a really good bunch of people that share the same philosophy I think: we just want to win football matches, we’d like to play at the highest level we can which at the moment is the Conference North. If we can get out of this and into the national division then our aspirations are to try and get our of that one. ‘Now it’s going to be hard. It’ll be hard enough getting out of this league, but it’ll be even harder getting out of the next one. You set your sights and think ‘well, a play-off place’ but winning this one is what we’ve got to do, I don’t want to be messing around with penalties again. So we’ve got to win this one, but in terms of winning the next one I think you’ve got your hands full because there’s some big hitters in there. And among the band of workers are a number of special characters, including Charlie Powell, the former groundsman, and Joe Prescott, who died last year. ‘They were great club men. Charlie was here from I think ’46 or ’47 and he was a character. Joe was just a really, really nice bloke. Charlie was a proper, proper groundsman and they would refer to him as, ‘Mr Southport’, and he was. Joe was just a lovely man who would come and enjoy just getting down here.’Another great great character was Jack Carr ‘Mr President’ to me, we had some fantastic times together I will never forget Jack singing ‘Onward Christian Soldiers’ on the team bus as we went down Wembley Way, I still miss you ‘Mr President’. After an indifferent start to the 1999/2000 season, Paul Futcher was replaced by Mark Wright, the former England international and Liverpool defender. His arrival saw Southport gain a high-profile, attracting quality players and achieving a fourth place Conference finish, but it came at a significant detriment to the club’s finances. What are the Chairman’s recollections of the Wright era? ‘We would have been in the play-offs now with that performance,’ says Clapham. ‘There were some highs and lows through that period. I think his career after he left Southport has highlighted Mark himself, hasn’t it. So I mean it wouldn’t be too difficult to say he wasn’t the easiest lad to work with. He was very driven, very arrogant – which I suppose comes with being driven. You don’t play 50 times for England, captain your country and not be your own person. I can’t decry the lad for that because that’s one of the impressive things that was on his CV. ‘Mark needed to move on. He needed to move to a football club that could maybe fulfill his aspirations financially, not personally because to be fair he put no sort of demands in for himself personally. I don’t think he needed to but that doesn’t necessarily stop people wanting to be paid a lot of money. So it wasn’t a personal thing with Mark. Mark was more about wanting to invest in players and one thing and another. It’s like if you could guarantee me tonight that we would be promoted if we spend that 10% then of course I’d spend it. I’d spend it in a blink. But none of us can guarantee that. Was the demand from the terraces for full-time football at its highest at that time? ‘Yes, it was to be fair, and I guess that was driven more by Mark with comments he made which were not really very helpful at the time. Because in any organisation you do need a party line – and Mark wasn’t the best lad to work with for toeing the party line. ‘I think he came out with a comment like ‘a part-time team will never win the Conference again.’ Now in fairness to him, it didn’t take long for him to be proven right, there’s maybe only one more team that did. He more than likely wasn’t far away with that comment, it just really didn’t help our cause on the basis that we were already bleeding: spending the money we were spending with the income we were getting. You’re looking back seven years and we got up to third place but we didn’t get the support. In fairness, if we had got two to two-and-a-half thousand then it does put a different pressure on the club to say ‘hey, we can have a go here.’ But we were still getting around 14 to 15 hundred. Watson, who restored the club’s Conference status after inheriting the debris following relegation under the previous management, ranks as one of Clapham’s finest appointments. In the summer of 2006, the club went full-time for the first time since losing its League status in 1978. In an increasingly professional Conference it was something of an inevitable step but the switch prompted Watson’s departure and, instead of progressing, Southport ended the season with relegation. ‘It happened. I respect Liam for the decision he made because he’s got to think of the bigger picture,’ Clapham reflects. ‘He had to think of his wife and family, and maybe if we hadn’t ever had the conversation about going full-time, then you never know. ‘And I think there you look and say where did that pressure come from? And I guess that came from our fans really. Because it wasn’t from me, why am I looking for full-time? We were okay, we were competing, but I guess it was in the face of potential failure that, ‘oh well, we need to go full-time’ and whatever. It was pressure from outside that we actually succumbed to. I guess you’d clearly say that it was not so much the wrong decision but the decision that was made that had the wrong conclusion, because the decision wasn’t taken in order that we’d part company with Liam. After over 25 years of unbroken service, Clapham has left an indelible mark on the club he first saw in its darkest hour. What seemed like a bleak future became a new beginning. He has witnessed many highs and several lows, but there is no doubt that he has left a lasting legacy. ‘The legacy is the ground because I think we’ve done a right good job here and I’d continue to say of course we would like to improve it going forward but we’re going to need some resource to do that. ‘What would I like to be remembered for? Hopefully for leading the club from some very dark days in the early ’80s with a lot of help from a lot of people, to promotion to the Conference in 92/93 which was special. To Wembley which was even more special because people will remember that until their dying day, and that was a tremendous occasion to come home and do our bus tour, then taking us back in the Conference after we had got ourselves relegated. Many thanks to Charlie for giving up his time to carry out this interview, pinning down a man with so many irons in the fire was difficult but the honesty with which he spoke was appreciated and you can’t help but warm to his enthusiasm to see the club progress in a right and proper way.